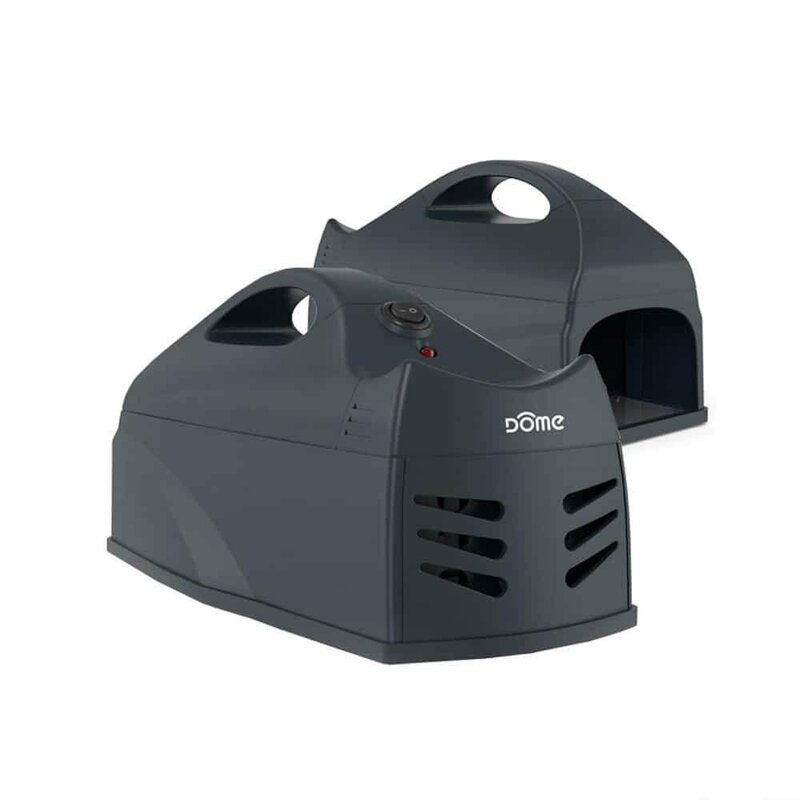 The DOME Z-Wave Mouse Zapper is the smart, mess free way of removing rats from your home or business. Dome Smart Mouse Trap Taking care of critters in your kitchen and dining area is no pleasant task, but there’s a better way to do it. The Dome Home Automation Mouse Trap eliminates mice quickly and effectively. Set this smart-home mouse trap up to work with your current Z-Wave automation hub, if applicable, or use it without connectivity. Either way, you get an efficient and mess-free pest control solution to keep rodents out of your cupboards and away from food and cooking utensils. Commercial kitchens, restaurants, and many other types of businesses must be up to sanitation standards, and it’s easier to do with the Dome Home Automation Z-Wave Smart Electronic Mouse Trap. When connected to your Z-Wave Hub, you can get notifications when something’s been caught and it’s time to empty the trap. No stinker to find days or weeks later. Use with most any Z-Wave Hub including: Vera, Fibaro HC2, Home Seer and more.